We’ve all questioned our parenting skills in one way or another. Maybe it was when your toddler was so upset he refused to get up off the floor and finally leave the park, or he wouldn’t eat dinner but threw a fit instead. It feels like all you do is yell at your kids, because that’s the only thing that seems to work. The worst is when they’ve finally fallen asleep from a long, draining day, and you’re filled with remorse, wishing you could wake them up and apologize. 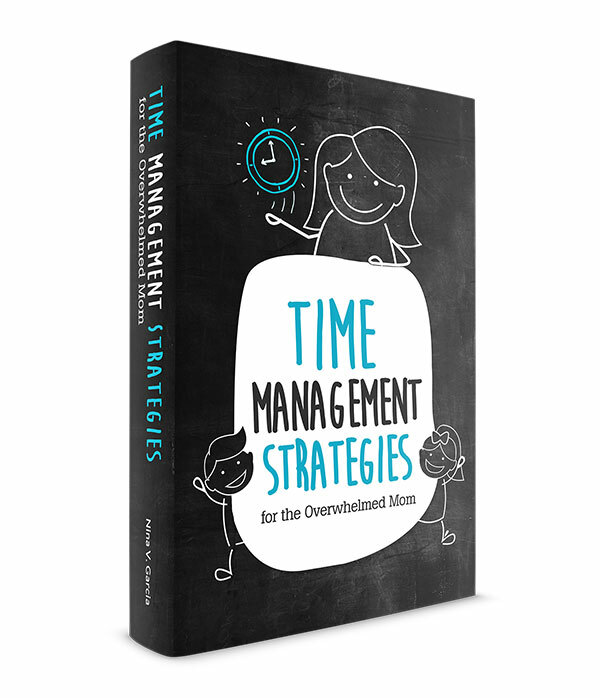 All this, on top of managing your household, getting errands done and appointments scheduled… no wonder you’re exhausted from it all. 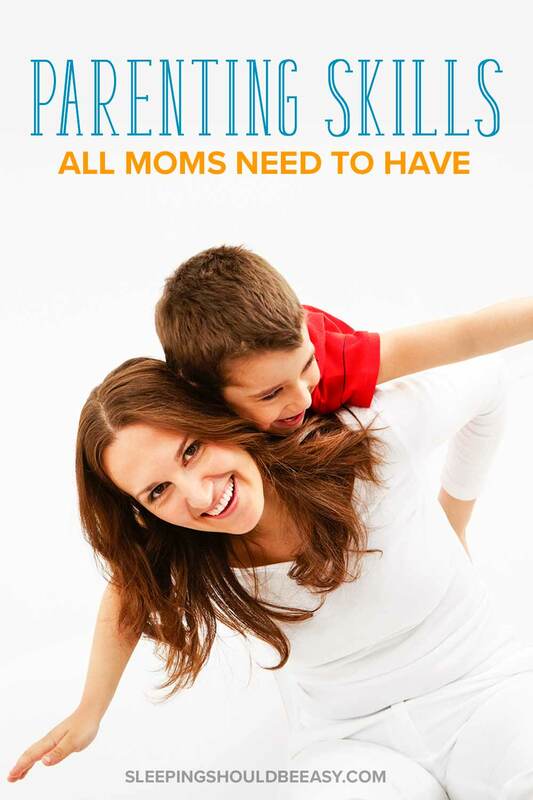 And if you’re like most moms, you’re starting to question your ability to handle everything on your plate. You don’t want to be a “mean mom,” but it sure feels like it sometimes. After years of talking to and helping parents, I’ve found that there are seven essential parenting skills that help us get through these challenges. These are the abilities that keep us level-headed, no matter how frustrating the moment can get. Practicing these parenting skills makes the challenges less likely to happen as well, since we’ll know how to prevent and respond to keep them from escalating. Because real change goes beyond the tips and tricks, but into changing who you are and how you—and not just your child—behave in these situations. Come with me for a moment into the home of a typical family. A little boy refuses to go to bed, claiming he’s thirsty and wants a cup of water… and maybe another book… and he can’t sleep without mom nearby. Meanwhile, the mom is doing all she can to prevent a likely tantrum, bowing to his every request. She’s beyond tired, but also doesn’t want to upset him and say she has other things to do than stay in his room until he falls asleep. Trouble is, this pattern persists night after night. Not only that, the little boy wakes up in the middle of the night and cries anyway when he realizes mom isn’t lying next to him anymore. The result? An exhausted mom jolted in the middle of the night and a little boy unable to sleep through it. You see, despite what many parents think, kids actually need and want boundaries. Despite that little boy’s pleas and demands, he feels safer and more secure knowing what is and isn’t allowed. He doesn’t want to hold the reins, and would rather rest in the reassurance of your consistency and firm limits. Set clear boundaries, those based on your child’s best interests rather than trying to please him or avoid tantrums. As uncomfortable as it may feel to put your foot down and hold your ground, you’d be doing your child a disservice if you did otherwise. Get more tips about setting boundaries. At some point in your life as a parent, you probably yelled at your child in what seemed like a natural reaction. She had done something, you told her to stop, she kept doing it, and no amount of reasonable conversation was getting through to her. Trust me, you are definitely not alone. Not only have we all yelled at our kids, we’ve also taken their behavior so personally. Maybe it was the time she deliberately disobeyed you, complete with a smirk on her face. Or when she flat-out ignored you, as if you hadn’t said anything at all. We take their words and actions so personally that we feel attacked. The problem with reactions and taking things personally is that we tie so much of ourselves into the situation that we can’t think clearly. 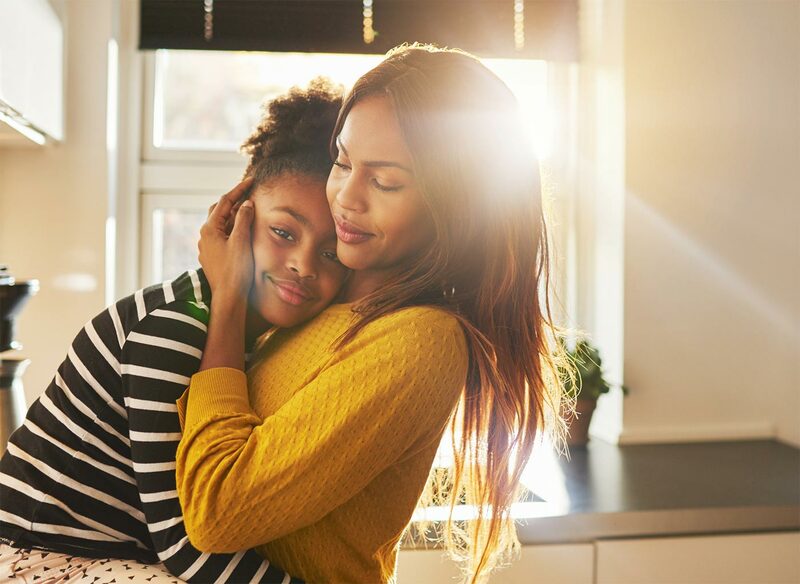 Inserting a simple pause right after your child’s defiant behavior can be all that it takes to separate yourself—a bit of space to remain calm. You can also realize that this isn’t about you. That you don’t have to let other people’s behaviors—including your child’s—determine how you feel. You’re almost “above” it, watching as an observer, instead of immersed right into the situation. In other words, your child can refuse to listen all she wants, but you don’t let it get under your skin. You don’t let this define who you are or drive you to knee-jerk reactions. You don’t allow yourself to get sucked into the downward spiral, and instead stay floating above. The best way to handle power struggles is to avoid them in the first place. Such is what can happen when we look for the positive, instead of harboring on all the ways our kids aren’t doing what they’re supposed to. Yes, we need to discipline, but as I’m sure you’ve realized, it’s not easy to convince two kids fighting over the same toy to learn the value of turn-taking. But spot the times when they are taking turns, then you’ve got a golden opportunity to reinforce these positive behaviors. You see, it’s much easier to encourage behavior you want to see by praising them as they happen, than correcting your kids when they do the opposite. Not only that, but looking for the positives changes your mindset. Our brains like to be right, and if we focus on misbehavior, then we’re more likely to spot the times they do to prove ourselves right. This only sets us up for a horrible cycle: we focus on the negative, we see the negative, and the negative proves we’re right. But if you look for the positive things your child does, then you’re more likely to find and praise those times as well. We’ve all taken that “tone” of voice with our kids, the one that says, “because I said so” (without needing to actually say so). It’s yet another example of that knee-jerk reaction, as we cling onto whatever authority we still have with our kids and try to wield it in front of them. Unfortunately, this power isn’t sustainable. In fact, it can downright damage the strong relationship every parent wants with her child. Besides resorting to these last-ditch attempts, what can we do instead? We can communicate in a firm and respectful way. We can ask ourselves whether we’d speak that way to others, including our spouses, and get away with it (my guess is no). Because when you speak with respect, you can almost see your child’s defenses melting away. She feels less attacked, her walls crumbling as she realizes she doesn’t have to brace herself for another fight. And she’s more likely to actually listen than if you had simply bossed her to do something. All from a simple change in how you speak. Get more tips on how to make sure you’re respecting your child. 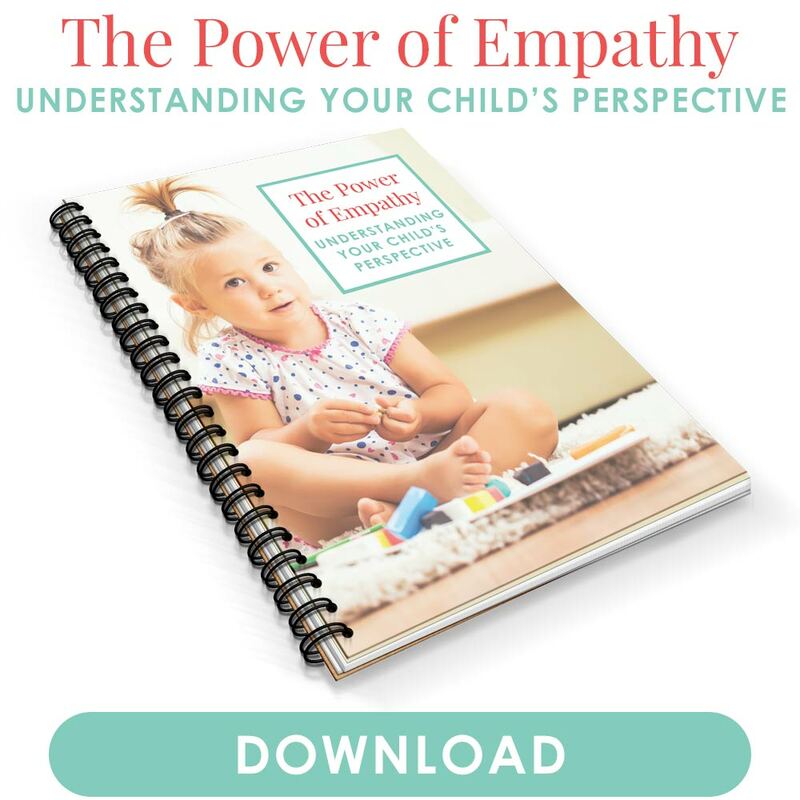 Hands down, one of the best parenting skills you must develop is the ability to show empathy toward your child. Earlier, I mentioned how the tone of your voice can melt away your child’s defenses. Well, empathy takes that to a whole other level. When you can show her that you truly understand what she’s feeling, you will connect with her in ways you never imagined. Why is empathy so powerful? For one thing, your child doesn’t feel compelled to “make her point” because she now knows you understand the depth of her frustration (yep, even if it’s over a lost toy). You’re also modeling for her the importance of showing empathy in the first place. This will help her in future scenarios when she has to be the one who should imagine what it feels like to be in someone else’s shoes. And perhaps most important, empathy encourages you to be more patient and calm. The simple act of seeing the situation from your child’s point of view makes you less likely to yell or lose your patience. Sure, it may just be a lost toy to her, but you can absolutely relate to the feeling of having lost something precious yourself. Easier said than done, the saying goes, especially when it comes to actually modeling the behavior we want to see in our kids. Because what we say is only as effective as what we do. You can tell your child to be kind to her little brother all day long, but if you yell and snap at others, you’re bound to keep seeing the same behavior in her as well. This is when parenthood truly changes us, when it demands that we grow—and grow up—alongside our kids. When it isn’t enough to tell them one thing while not doing the same ourselves, even when we know we need to. 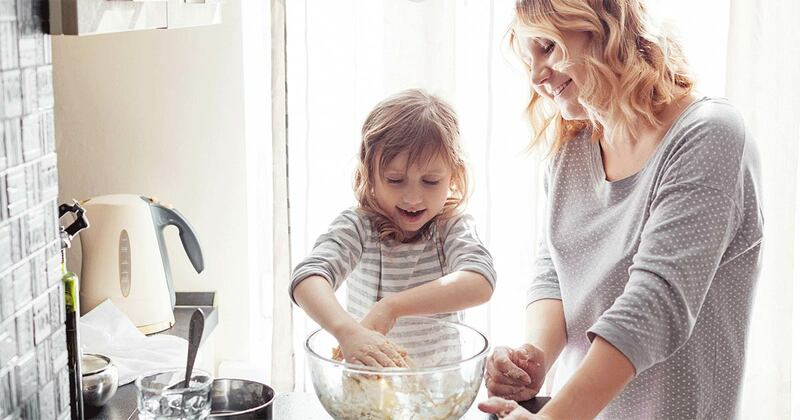 Learn the importance of modeling the behavior you want to see in your child. The phrase “unconditional love” is a bit ironic because true love is always unconditional. But think about the many times we’ve placed conditions on our kids, like withholding affection or making them feel guilty for the times they misbehaved. Unconditional love means reassuring your child you love her no matter what, even when she’s throwing a tantrum or asleep for 11 hours at night. It means not loving all her behaviors or choices, but that you love her nonetheless. This doesn’t mean you’re being permissive. You can, in fact you should, continue to be loving even as you set boundaries and correct your child’s behavior. Instead, it’s disciplining with the ultimate goal of helping your child and improve—not because you’re tired and frustrated. And ultimately, unconditional love means your child doesn’t have to do anything to deserve or receive your love. It is her birthright, simply for the very act of existing in your life. That’s unconditional love. Learn more about the importance of accepting your kids for who they are. We can all stand to improve our parenting skills, and that’s exactly the opportunities these moments with our kids—however challenging—present us with. Each tantrum, each whine, each power struggle, they’re not only meant to help our kids grow, but us as well. It starts with setting boundaries, so that your child can explore within the safe confines of her limits. You also want to separate yourself from the behavior, inserting a pause or slight distance so you’re less consumed and personally attacked. Learn how to look for the positive, allowing you to notice more and more of them instead of the negative. Communicate with respect and empathy in order to melt your child’s defenses and better connect with her. Model the behavior you want to see, which is far more effective than anything you say. And finally, show unconditional love, knowing that who your child is in her essence goes beyond any behavior or challenges she may present. 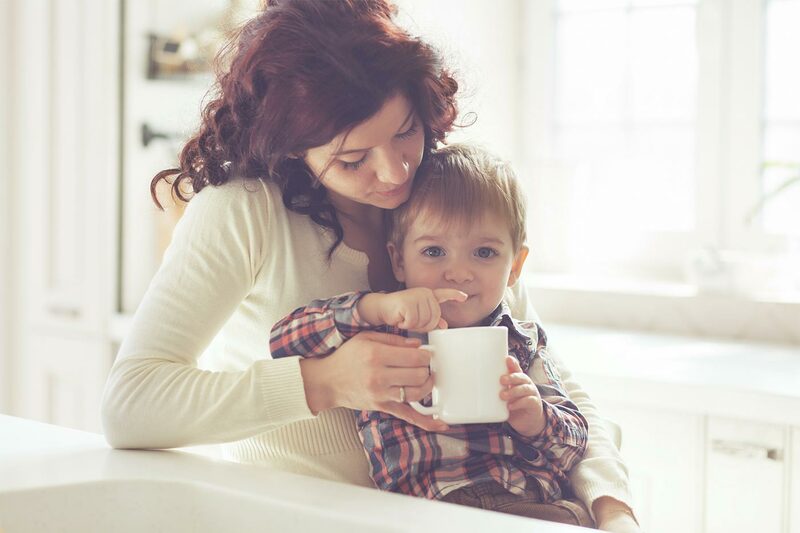 This checklist of the seven parenting skills, when taken as a lifelong mission to improve and grow, will help you in so many ways—starting with convincing your toddler to finally stop throwing a fit and leaving the park. Tell me in the comments: what are the top parenting skills that have helped you the most? I completely agree! All seven of these qualities are those of good parents. Sometimes it can be hard to be everything your toddler needs when they are misbehaving, but this is such a great start. Thanks for reminding me!